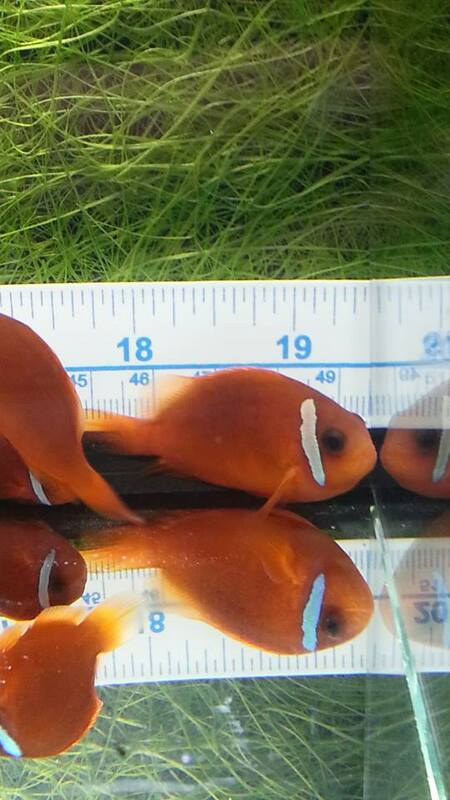 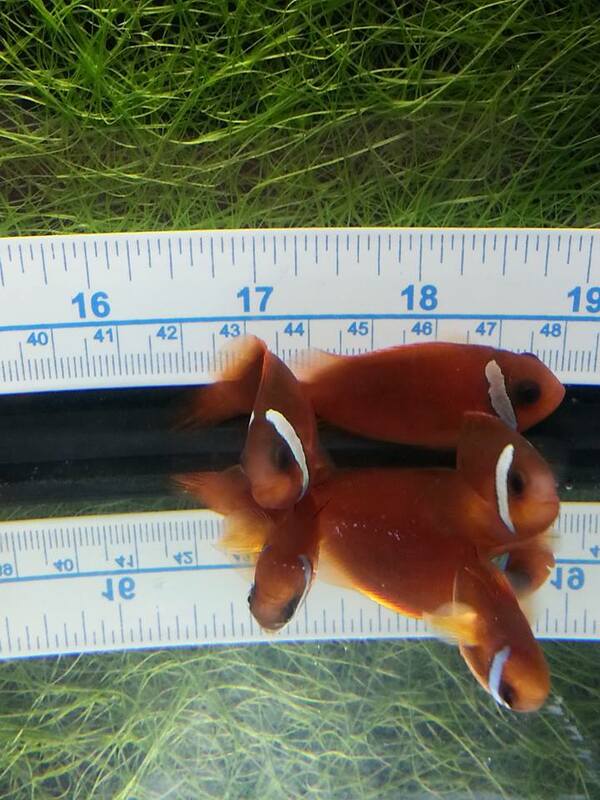 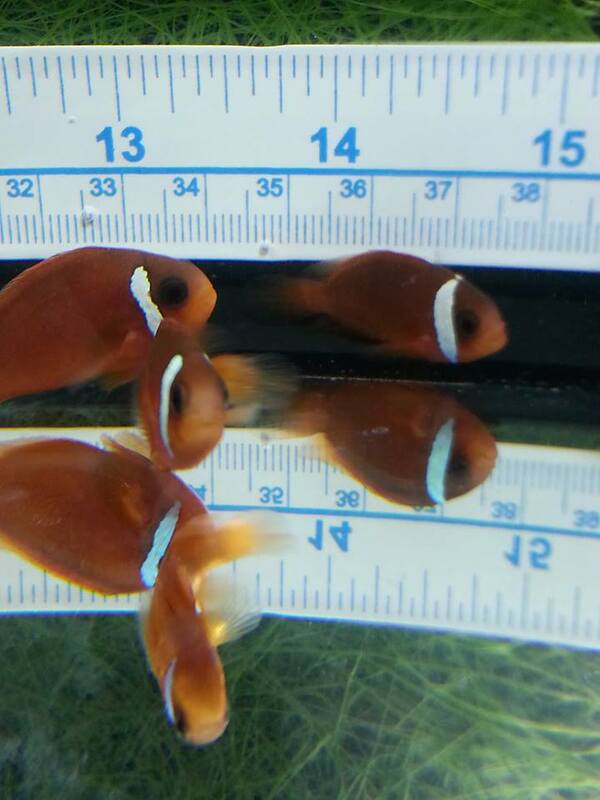 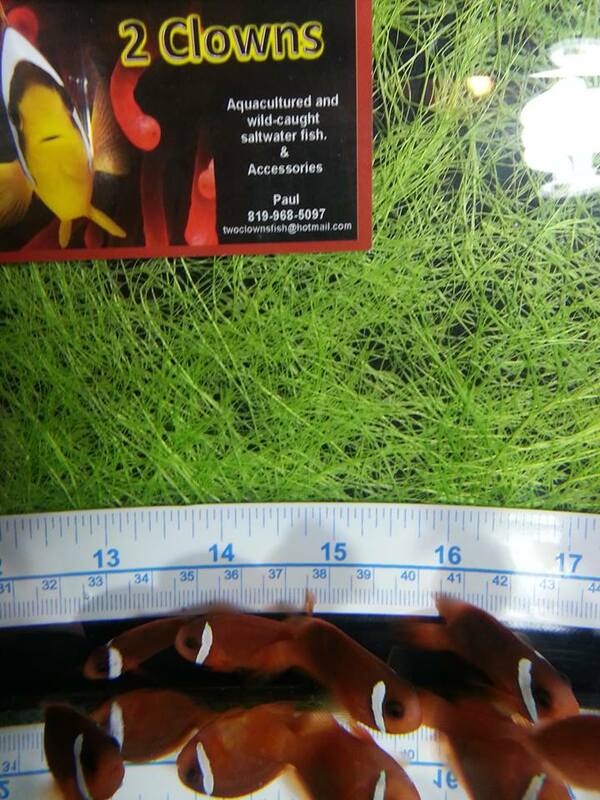 Gatineau, Quebec, Canada (12-20-2016) – It has been a while since our Barberi Clownfish female and Fire Clown male have spawned for us, and after almost 11 month it’s time to put a name on these new hybrids. 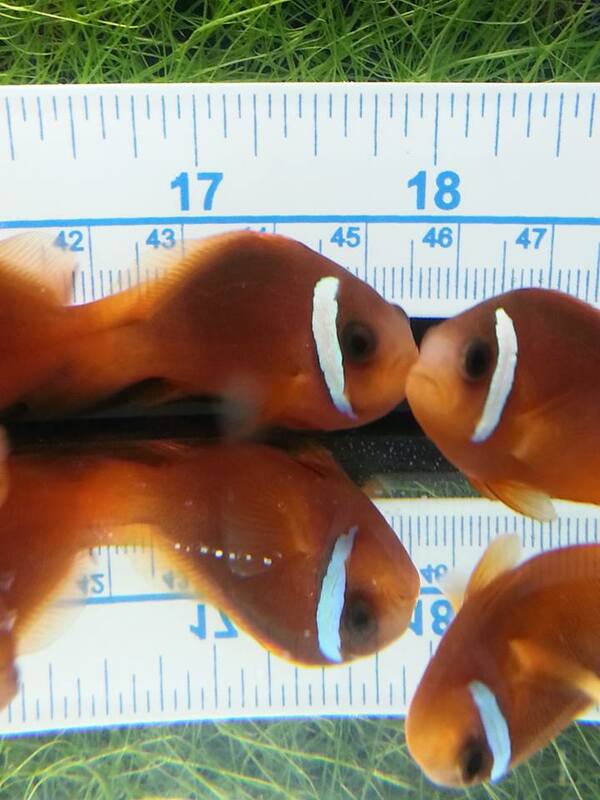 From a female wild Fijian Amphiprion barberi (Walt Smith) X a male tank-raised Amphiprion ephippium (ProAquatix), we’d like to introduce the Split-Face Clownfish. 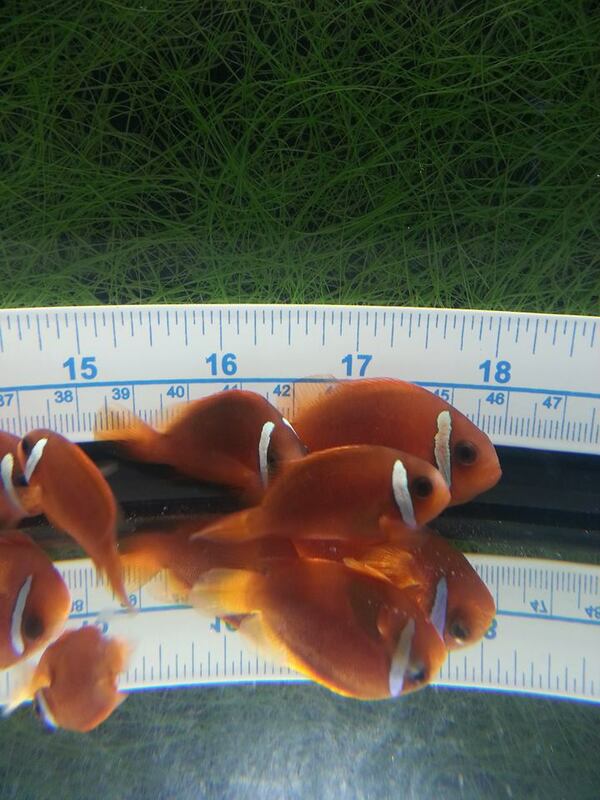 The following pictures shows fish born on February 20th, March 6-7th, March 20th and April 16th, 2015. 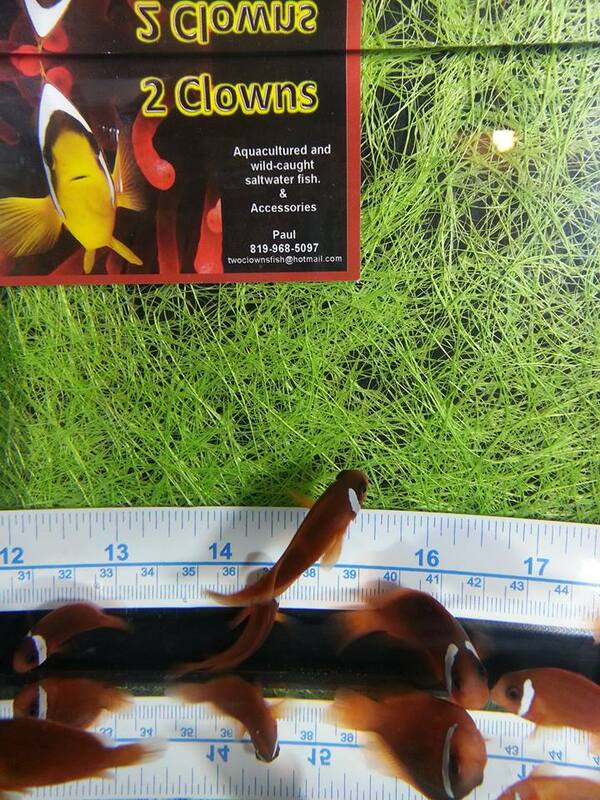 We’re not selling any right now but it is something we might consider in the future. 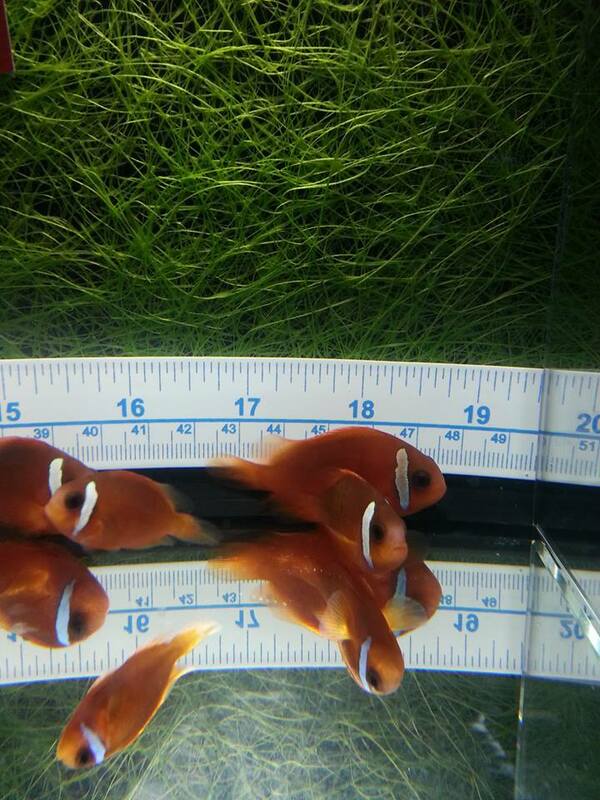 There are only 3 of these hybrids out in friends tanks and that’s it. 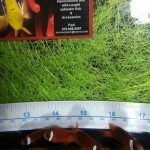 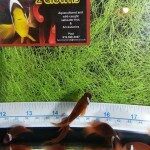 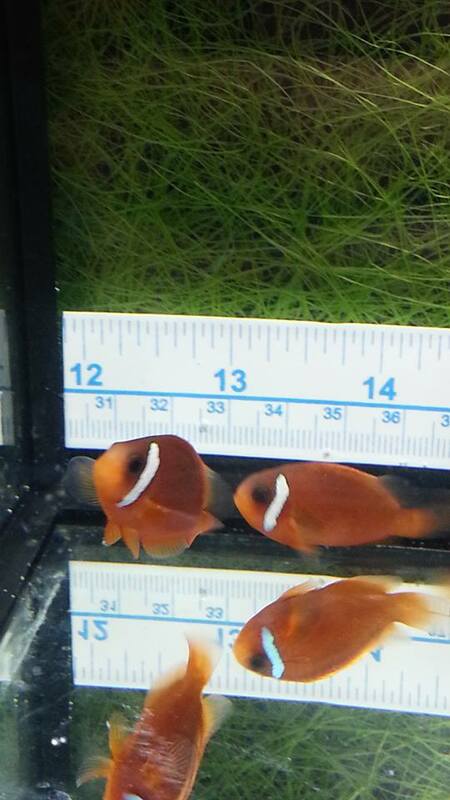 Both aquarists know exactly what these new hybrids are; they were not acquired under any other name. 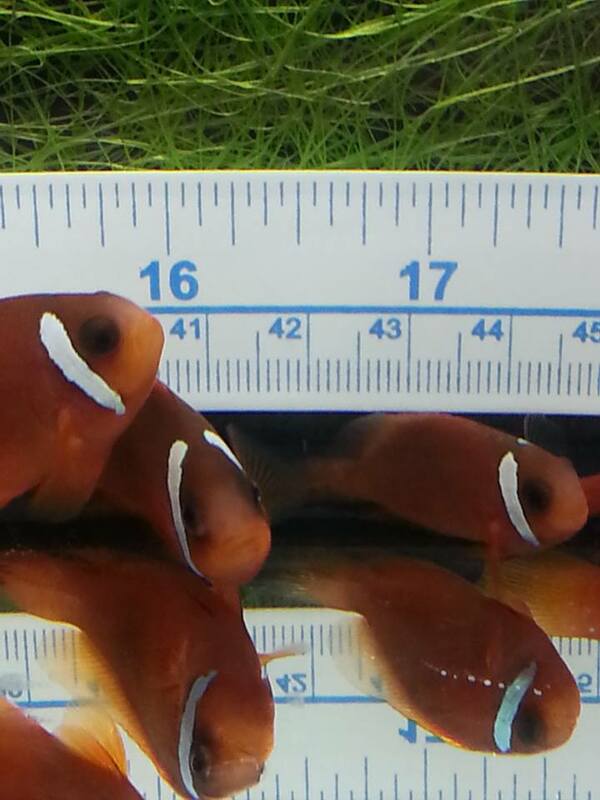 The Split-Face Clownfish all started out with a full band and gradually, the band has split on top of the head and remains only on both sides of the face, creating a very nice, bright and somewhat different clownfish that we are personally very proud of. 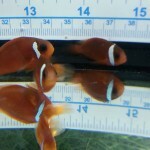 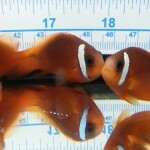 8 to 10 month old Split-Face Clownfish, the hybrid of Amphiprion (barberi ‘Fiji’ X ephippium). 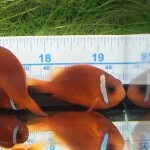 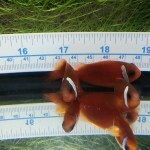 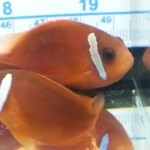 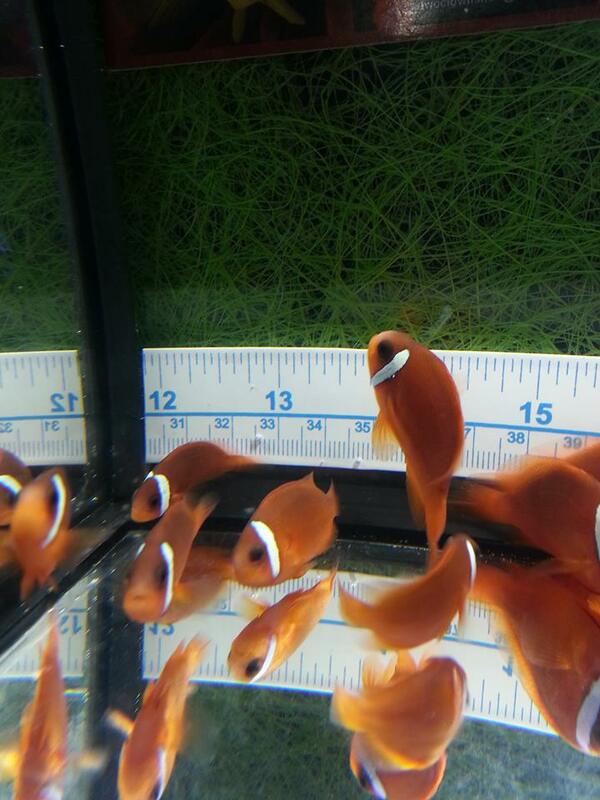 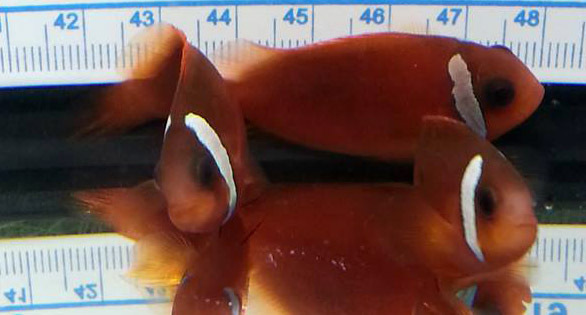 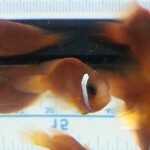 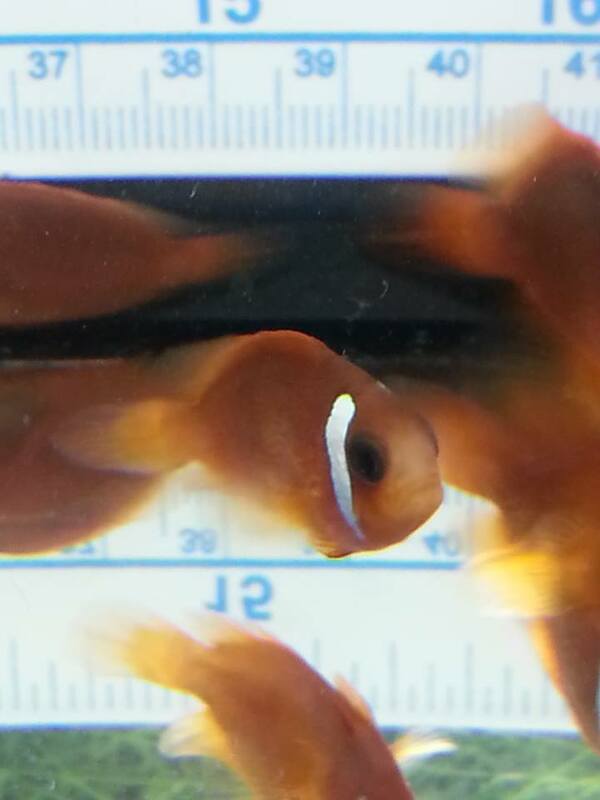 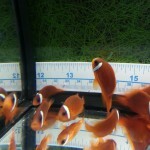 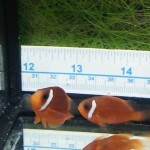 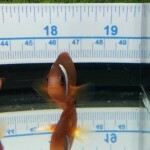 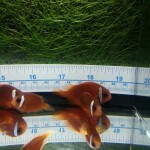 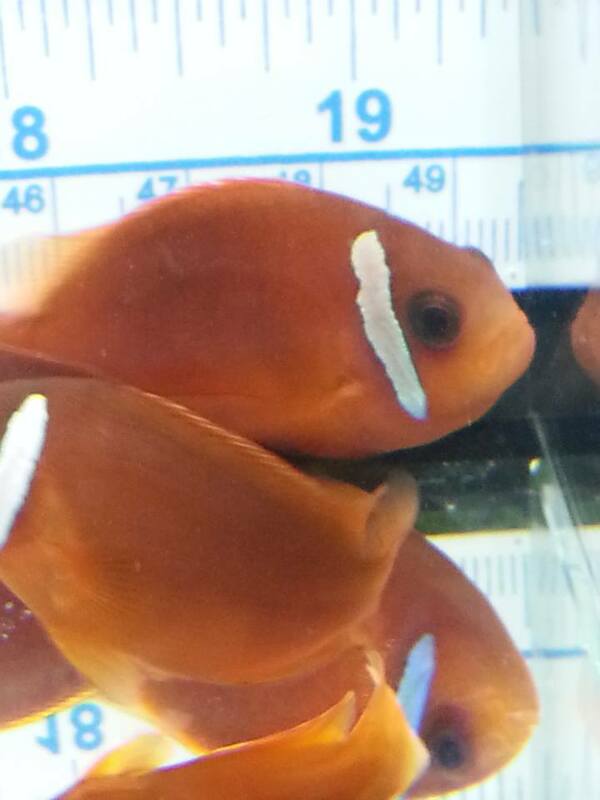 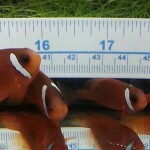 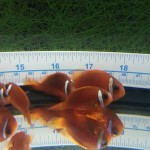 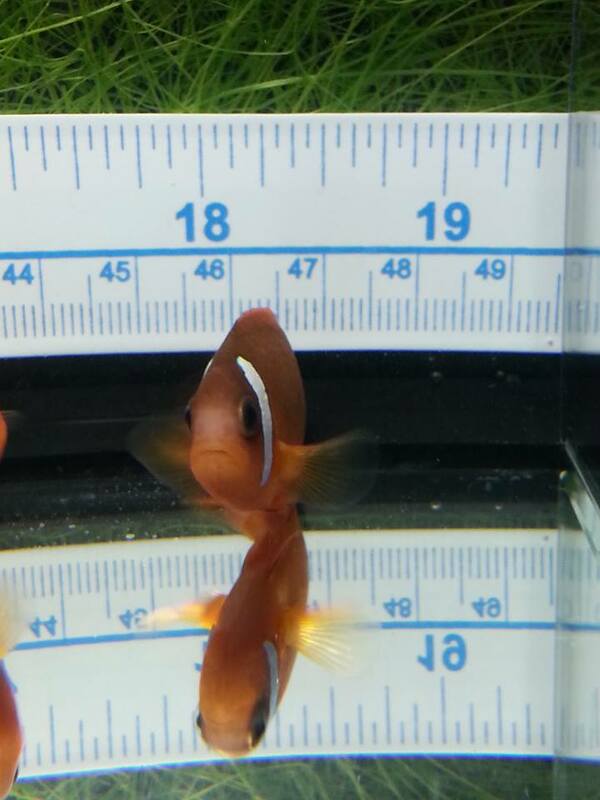 8 to 10 month old Split-Face Clownfish.